I almost did not make it to Barcelona. The Spanish consulate insisted they needed more time to process my visa – something I did not have since I was flying out that weekend to the USA. Just when I had given up, they handed me my passport with the visa – one day before my flight. And what a trip it has been! I flew into Barcelona on a Lufthansa flight late in the night. By the time I had checked in and taken a shower, it was close to midnight and I was thinking of ordering room service. But then I looked out of the window. Down below I could see cafes open and packed with people. It seemed too good to pass up. 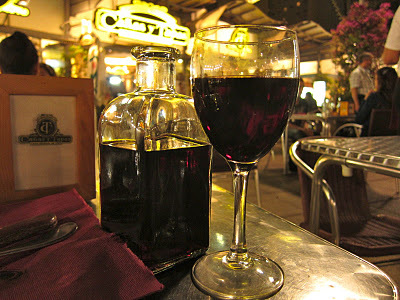 During the week I spent here, I would discover several uniquely delightful things about Barcelona, including the fact that dinners begin late and continue well past midnight! This was my very first trip to Spain and the first discovery I made was Barcelona wasn’t Spanish speaking! The local language, Catalan, is very distinct and shares a few words with French. My limo driver, a young man from Valencia, gave me some quick facts about the city. While the city has a population of about 1.5 million people, the cruise ships bring in almost the same number of tourists every year. As he put it, Barcelona is the Bahamas of Europe. I took a table outdoors surrounded by tourists and locals who had come out of the nearby shopping mall to grab some dinner. A cool breeze blew from the ocean nearby. 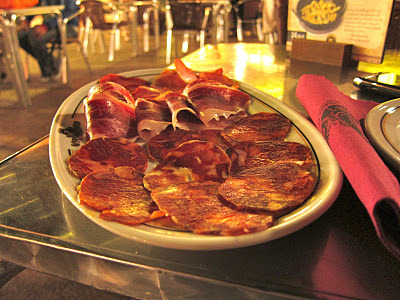 I ordered their red house wine, a selection of Iberian ham and a seafood paella. The Hilton on Diagonal Mar turned out to an excellent choice. While the location is not central, it is right on the oceanside and has easy access to the Metro station. The large shopping mall opposite the hotel also provides several small tapas places for a quick bite. My room was airy and comfortable with panoramic views of the city and the ocean. The lounge on the executive floor is another nice location to work or laze around with the sea-breeze blowing on the open terrace. I found a good amount of time to do the tourist routine here. While Barcelona has many attractions – history, architecture, food and wine – one needs to be aware of the seamier side of this lovely city. With unemployment rampant, criminal activities are on the rise. Be wary of pickpockets – there are several incidents of mugging and thefts, especially in crowded areas. 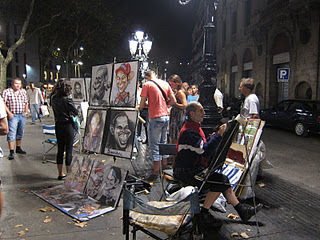 If you are in the wrong side of La Rambla in the late evenings, you may be accosted by pimps, prostitutes or drug peddlers openly. To be fair, I haven’t heard of violent crime involving tourists.